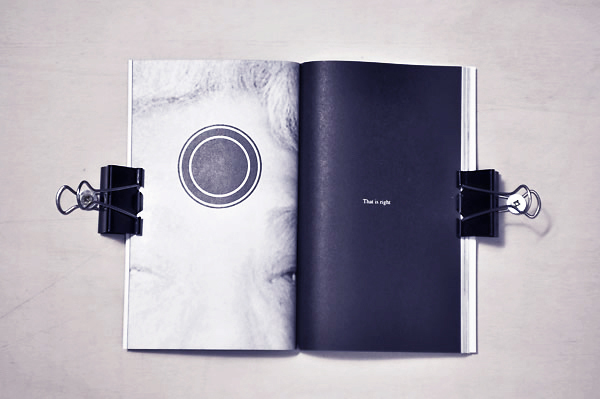 Experiencing Hypnotism is a book consisting in a series of black and white images found on the Internet featuring hypnotized people under the control of hypnotists. A circular graphic design has been applied on the foreheads of the hypnotized. Commands taken from typical hypnotists’ agendas have been raised over the images, alternating with sentences taken from instruction booklets to set up hi-fi systems like home theaters and receivers. Experiencing Hypnotism has been published by Atomic Activity Books, an imprint of This is a Magazine. 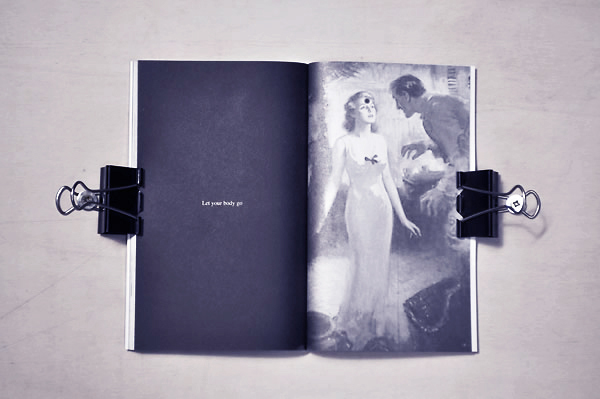 It is a sixty pages paperback measuring 11 x 17,5 cm., printed in duo-tone with silver-gilt edge in edition of 500 copies. 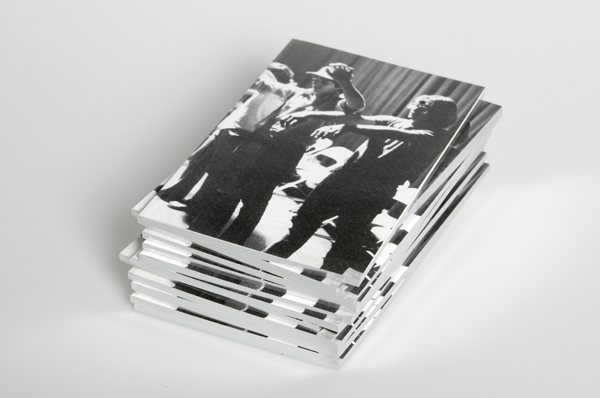 Experiencing Hypnotism is distributed overseas by IDEA Books, Amsterdam but could be found also at Motto in Berlin, Hoepli in Milano and Printed Matter in New York or on the Atomic Activity website.